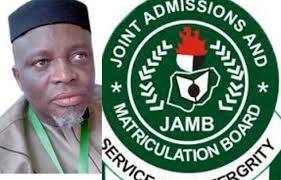 after checking 2019/2020 jamb result what next-next step after jamb? now that jamb has released the 2019/2020 jamb results and having seen your results, probably your performance is great or somehow it is still manageable what comes up in your mind is what is the next step after jamb? when will jamb start giving out admission? having checked your 2019/2020 jamb results and you discover that your results wasn’t encouraging at all, probably you scored about 100 or even 50.
sure you might feel dejected and downcast, you have to understand that failing jamb today does not been you will fail jamb exams tomorrow. dust your self, look for a good tutorial center and start afresh in reading ahead for the next coming jamb exams. computer program : there are several programs you can learn such as MS Word, PowerPoint, Excel etc. tailoring: 6 months will be enough for you to become experts i this, this will still help you to side hustle while in school, students can bring their jeans, shirt etc to reshape for them, while you charge like 200 to 300.
hair dressing : even men too can learn this, go to most of our universities men are now taking over from the ladies and women love it when men fix their hairs and nails. let me congratulate you once more, you have passed one stage of the struggle but more struggle and obstacles are still on the way. you have to start preparing for post utme screening exercise and if possible learn one skills that will help you in school. This is for those who passed jamb and are preparing for jamb exams. change of course form: if your school of choice cut off mark is too high you might consider getting a change of course form and chose a less competitive course and institution. Understand the school admission process : know Al the school demands from newly admitted students,find out their acceptance fee and plan ahead, the document they will need etc it’s a must you know all this.